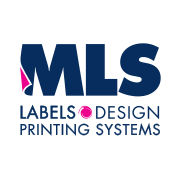 MLS Labelling & Printing Systems offer a comprehensive labelling service, from concepts right through to shrink-wrapped delivery. We control all aspects of the labelling process, ensuring maximum efficiency and quality control, to provide you with cost-effective work of the highest standard. If you wish to print your own labels we also stock printing equipment suitable for a wide range of business applications.